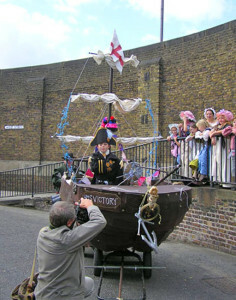 Art at the Centre was a pioneering scheme funded by Arts Council South East and South East Development Agency. This project began in Queenborough on the Isle of Sheppey in 2005, as part of the Thames Gateway Regeneration. Art at the Centre Swale currently facilitated community engagement with the regeneration process through events, exhibitions, competitions and workshops. A priority for Art at the Centre was to develop an exemplary model of how art can become an integral part of the regeneration process. 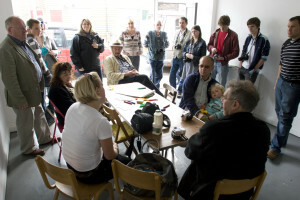 The project aimed to establish a reputation for quality art (both public art and arts activities) and to support local artists’ initiatives to facilitate their collective presence as a creative industry, with a view to retaining the creative practitioners who migrate to the capital, and thus to develop the growing creative community in Swale. 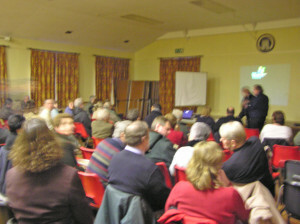 'Unearth' Lecture in Borough Hall Queenborough. 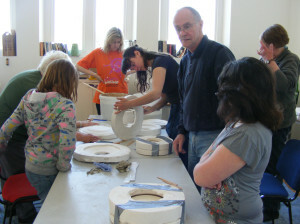 'Seaside Stories' Ceramic mould making workshop with Jose Den Hartog.